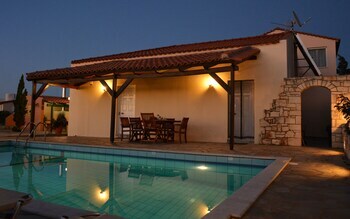 Located in Episkopi, Villa Galini is within a 15-minute drive of Watercity Waterpark and Nikos Kazantzakis Museum. Featured amenities include multilingual staff, luggage storage, and laundry facilities. Free self parking is available onsite. With a stay at Mrs Armelina by Mr&Mrs White Hotels in Paros, you'll be a 4-minute walk from Moraitis Winery and 7 minutes by foot from Agioi Anargyri Beach.